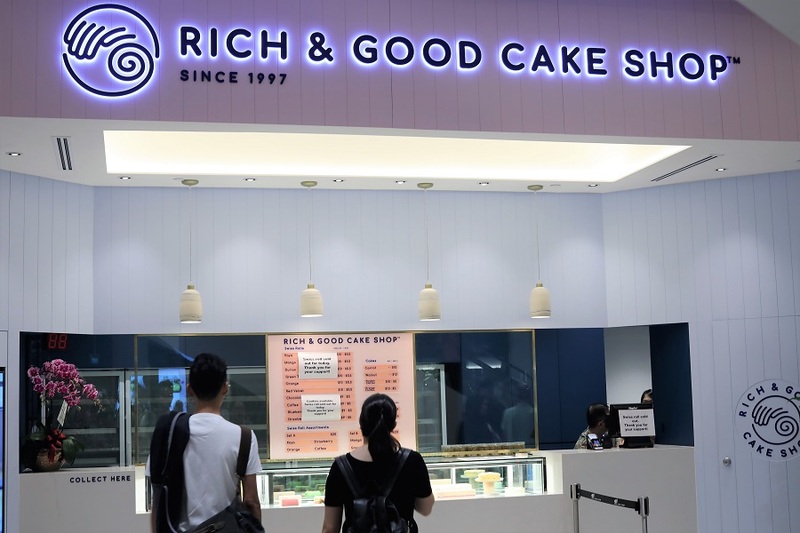 Rich and Good Cake Shop, is known for its incredible old-school Swiss Rolls, shaped like a rolled-up towel with soft and fluffy texture. 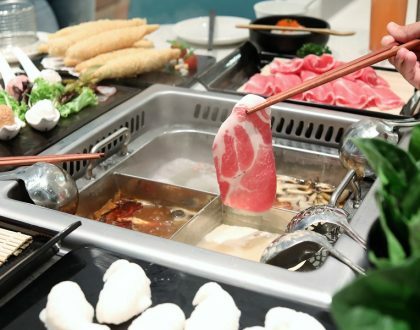 It has opened its 2nd branch at Jewel Changi Airport. 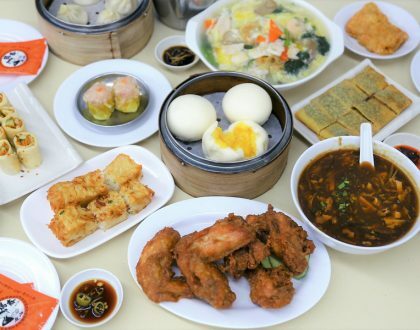 Wah, like everything is opening there. 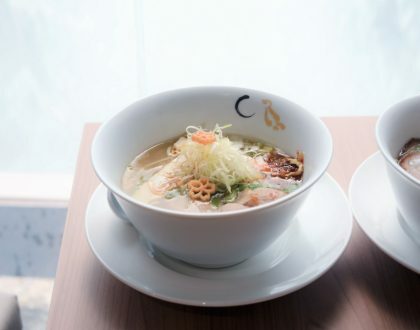 Other than heavy weights Shake Shack, Burger and Lobster and A&W, you can also look forward to bubble tea cafe The Alley 斜角巷 and ice cream shop Emack & Bolio’s. 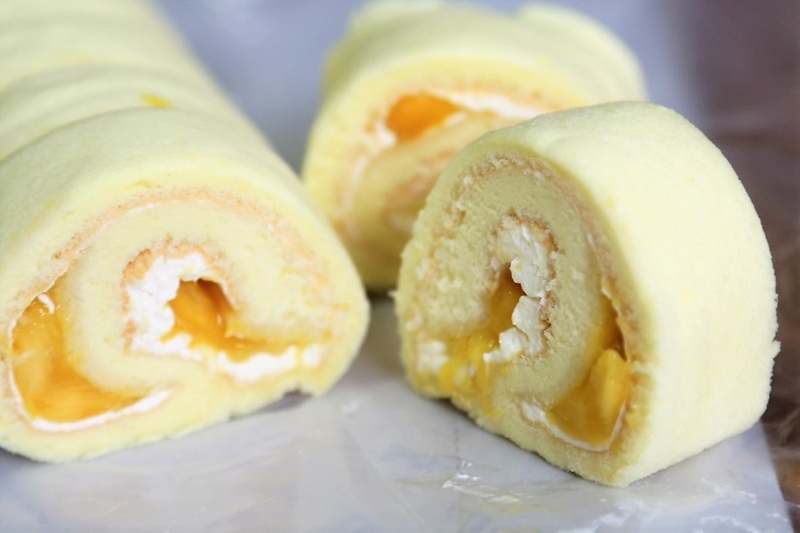 Run by Mdm Lily Liu, fans swear by its fluffy and soft swiss rolls, with a variety of fillings such as kaya, durian, mango, coffee, green tea, strawberry and blueberry. 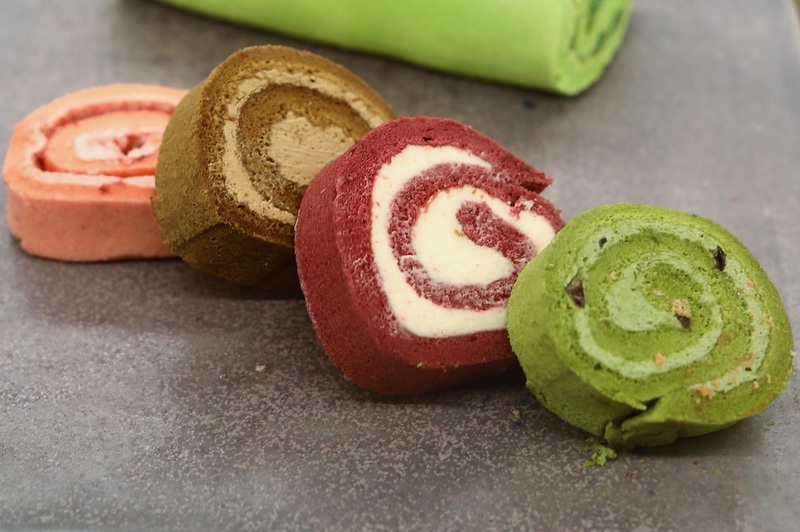 The Swiss Rolls are currently priced at $9.00 for the standard flavours of chocolate, coffee, strawberry, blueberry; and $10 for premium flavours of red velvet, kaya, durian, mango, orange and green tea. 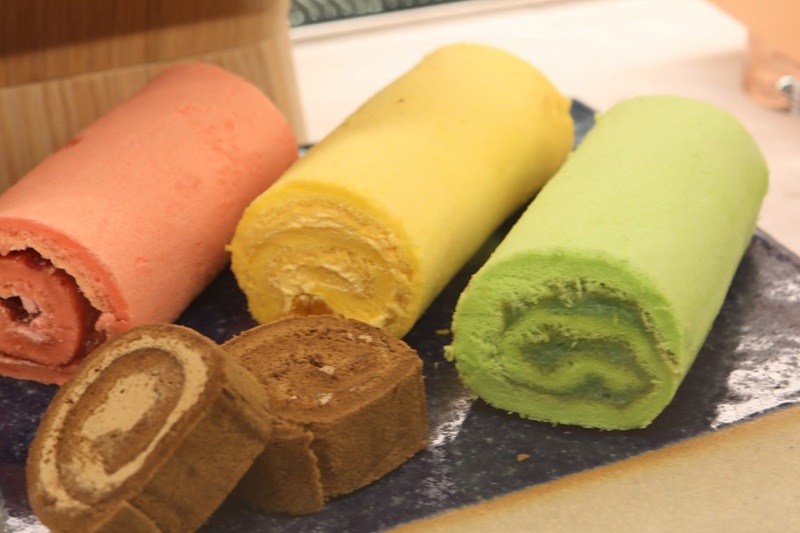 Over at the Jewel Changi Airport outlet, there are offerings of mini rolls (half the size) at $5 and $5.50 depending on the flavours. 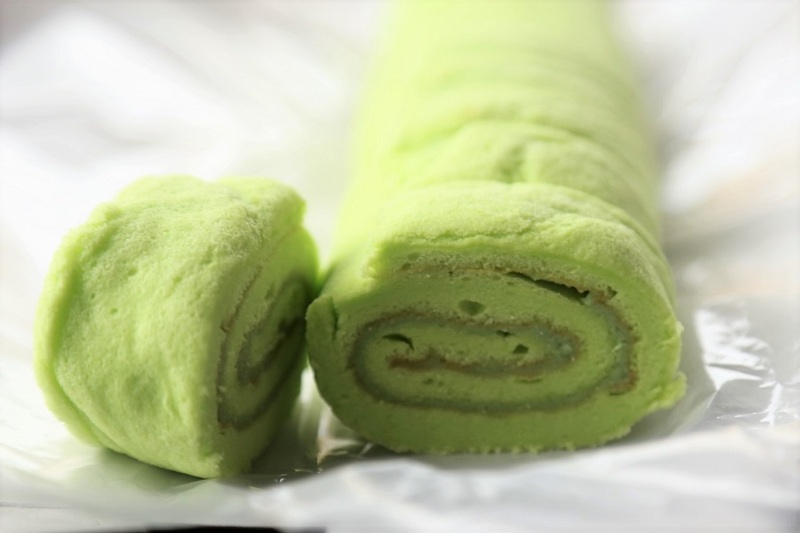 Kaya is my usual favourite, paired with kopi-c-kosong. 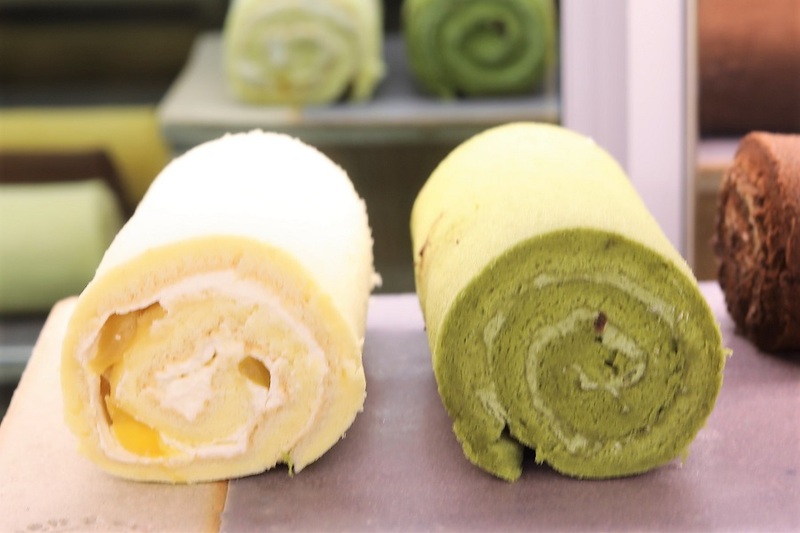 Also available are Swiss Roll Assortments ($20), with 4 flavours such as Kaya, Orange, Strawberry and Coffee OR Mango, Green Tea, Red Velvet and Chocolate packed in a single box. 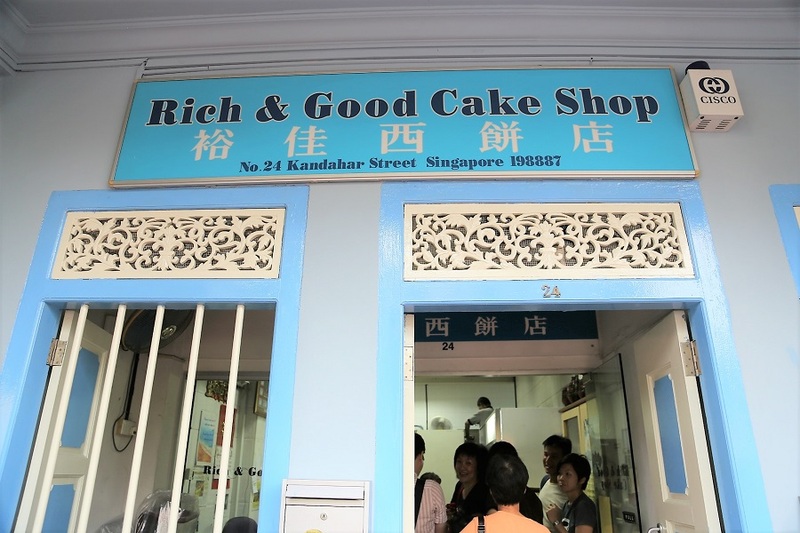 Over at Kampong Glam, the shop is hidden at the Arab Quarters), with a rather ethnic and elegant architectural design. 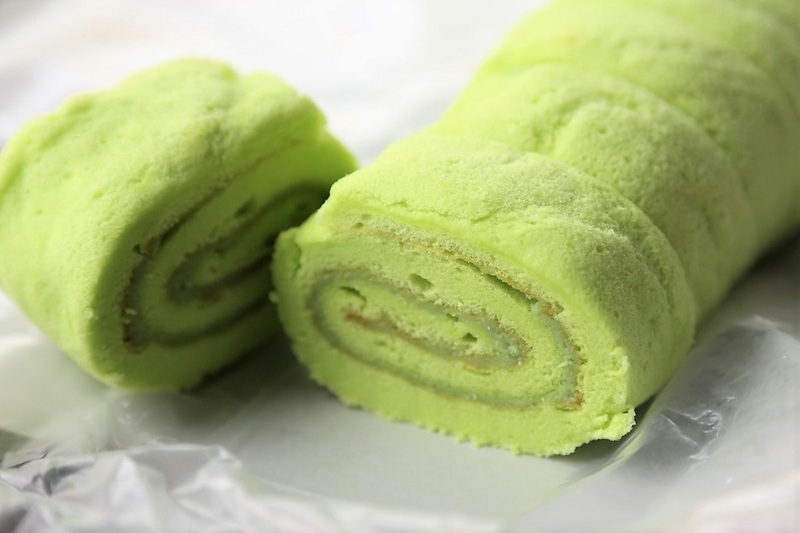 Basically, you join in a queue, go into the bakery, make your orders, and walk out with long peach coloured boxes containing swiss rolls best enjoyed with a cup of teh tarik. 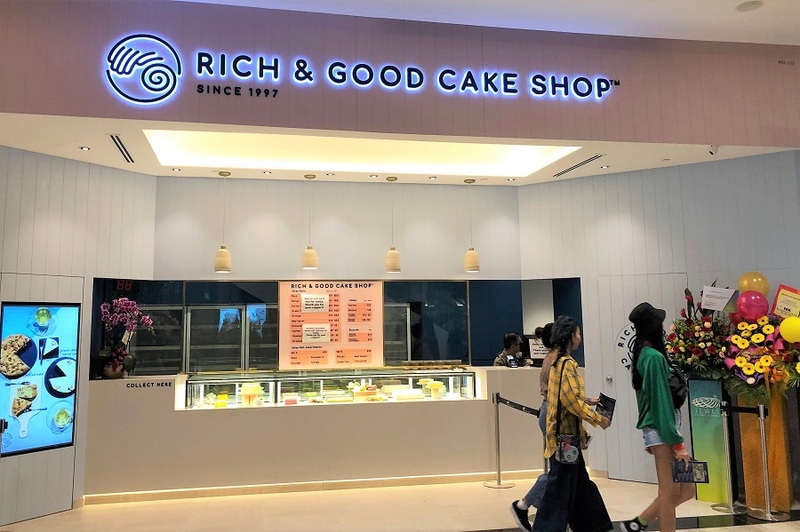 The opening at Jewel Changi Airport is likely a good-move, as this provides flyers another cake alternative (other than Bengawan Solo’s Pandan Cake) to bring to relative and friends overseas. 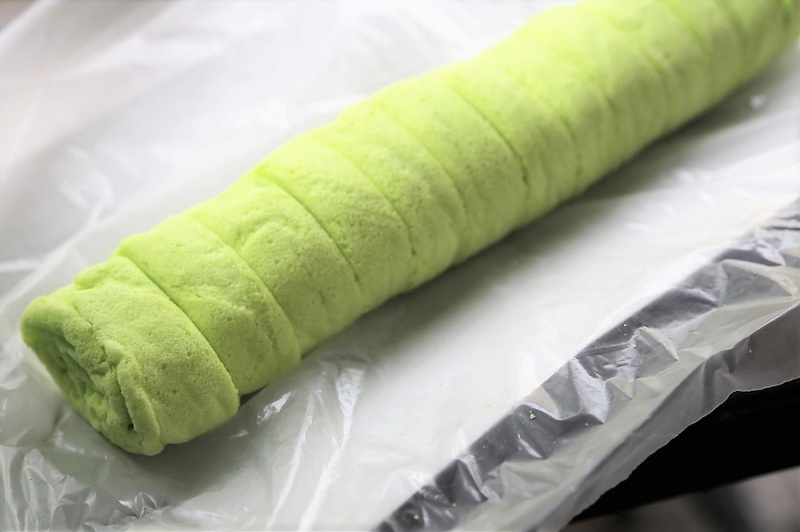 Other than Swiss Rolls, the confectionery is also offering Cakes such as Pandan Chiffon, Orange Chiffon, Walnut and Carrot ($10 – $15); and Pistachio Cornflakes and Almond Square cookies ($14 per 300gram box). 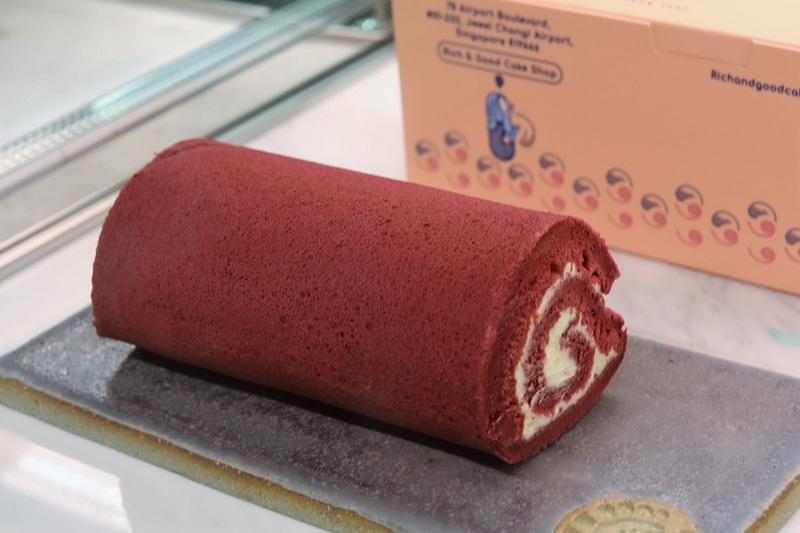 The queue is relatively long due to the crowded who descended to Jewel Changi Airport, and supply (”this flavour don’t have, that one sold out”) seems to be short as the Swiss Rolls are quickly snapped up by late afternoon. 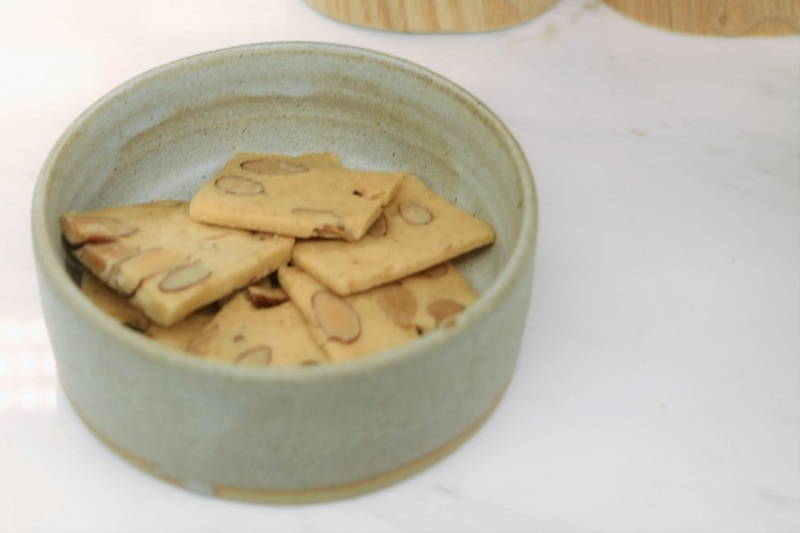 A rich selection of treats that you can buy in this store makes every customer just get confused in choosing what to buy.